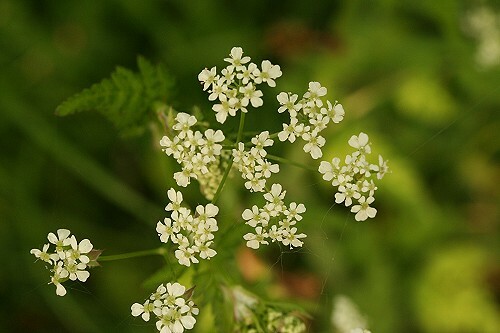 Cow Parsley, sometimes called Queen Anne's Lace, is common hedgerows and roadsides in early summer. The tiny white flowers appear in clusters up to 6 cms diameter. These are followed by smooth oblong fruits. 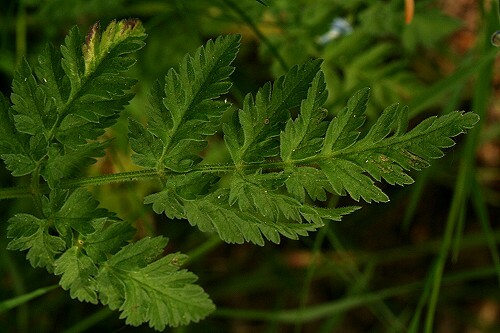 The leaves are feathery, hence the name "parsley", and the stems are hollow and furrowed.